Oh, how I love to wander around Hayes Valley and drool over all the fabulous furniture stores. I loved the throw pillows in these two scenes from Quatrine and am keeping them as inspirations for our master bedroom. Beautiful throw pillows spotted at Quatrine in Hayes Valley, San Francisco. 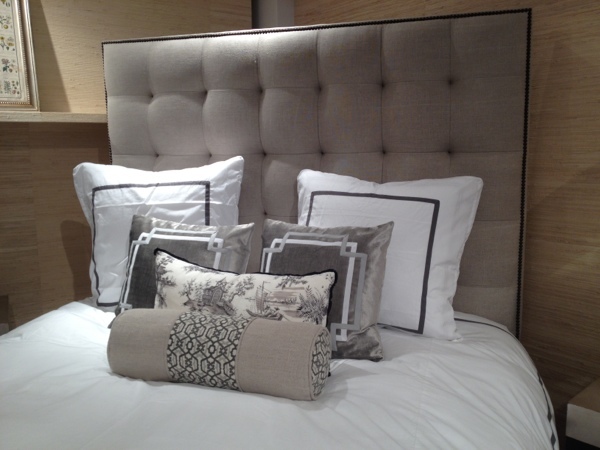 I especially like the grey pillows with the ribbon border in two colors and the round bolster with panels. 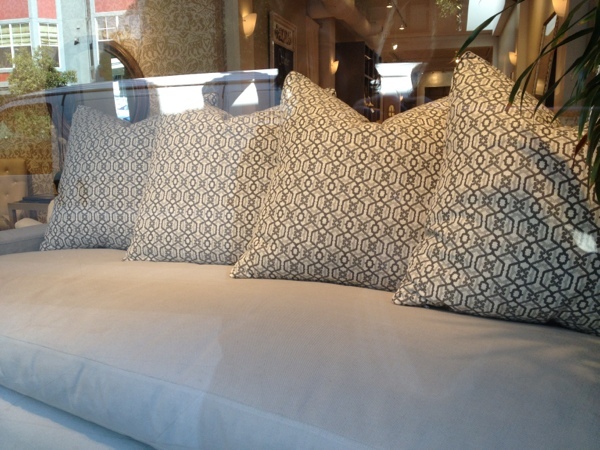 Beautiful grey embroidered pillows at Quatrine in Hayes Valley, San Francisco. Just a few steps away from Hayes Street is this lovely parklet in Linden, across from the Blue Bottle kiosk. I love the plantings, rock bench, and painted koi. 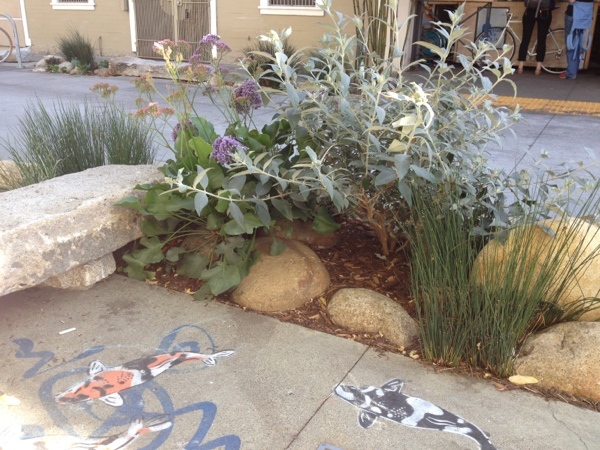 Pretty parklet with low stone bench, rock garden, and painted koi. And back at home, I moved this tiered serving dish that I bought for the tea party up to our master bathroom, and I love the charm and organization it adds to the space. 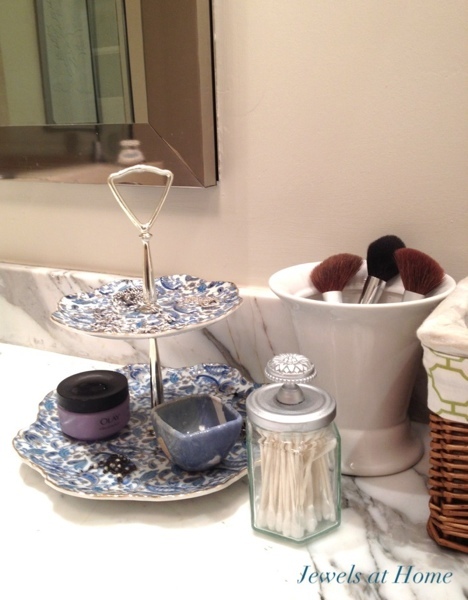 A small tiered serving tray is a beautiful way to organize jewelry.